This week our challenge is seven guilty pleasures. This was tougher than I thought it would be. #1 is easy. Fried chicken. #2. Who doesn’t like a good juicy, burger and fries once in a while. Sometimes it’s hard to decide between regular fries or sweet potato fries. #3. Pie. I’m a southern girl and I love anything peach, strawberry or pecan, but pecan pie is to die for and a splurge. #4. This one probably should’ve been number 1. I have to have my chocolate. I keep a jar of kisses or dove by the bed and allow myself one to two pieces a night. Yes, I can eat just one. #5. Still on the food theme, I love to veg out and watch the cooking channel. My problem is I turn it on and I am stuck all day long. I have to make sure I don’t have something I have to do before turn it on. #6. another guilty pleasure is reading. I admit it. I love to read. I am addicted to books. I take so many free books a day, I buy so many bargain books a month and of course, I have my favorite authors on alert at Amazon and Bam! It’s one click on new releases. I bet I have over 300 on my kindle. I will never get them all read. I get arcs from lots of authors and a M/M publisher so it makes it hard to get to any I buy or download myself. Now I have another way to feed this addiction monster. Audio books. This makes doing dull chores much more enjoyable. #7. What kind of Mother would I be not to say my family? I love spending time with my kids and grandkids. I love playing with my furbabies. After a morning on the computer, an afternoon of cleaning and or crafting, cooking dinner it is always nice to sit with the hubby and watch a tv program or movie together before I delve into my book stash. Let’s go see what the other author’s guilty pleasures are. Guilty Pleasure – Who Says? Inquiring MInds Want To Know. . . .
7 Guilty Pleasures or are they deadly sins? 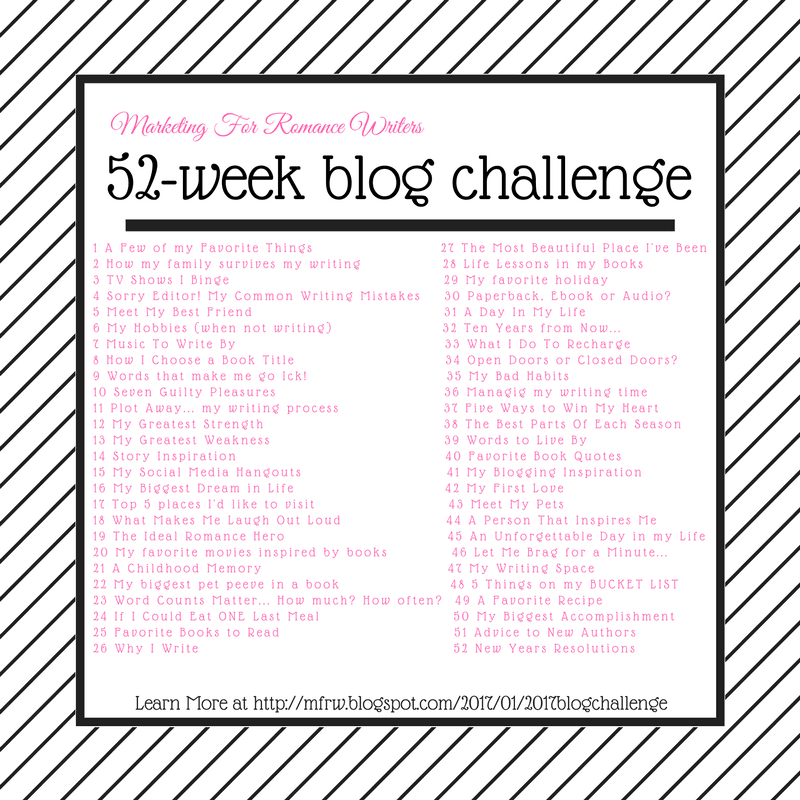 If you want to join the blog hop challenge it’s not too late. Go here and sign up. I didn’t include my family as I don’t view this as a guilty pleasure, I view this as one of the best parts of life. NOw I want pie! Larry makes the BEST ever pecan pie, but I have a taste for peach – my absolute favorite. Peach pie with a scoop of ice cream. I think I may have to swing by the store on my way back from my appointment to pick up a few things so we can have this tomorrow. Now I want pie too LOL. Walmart has these little small ones by the Bakery and bread that are good ( the pecan is the peach is like jelly) they are only 50 cents each. Warm apple pie with vanilla ice cream and I’m a happy girl! Almond Hershey kisses are my favorite. It’s hard to eat just one. I’m more a 3-4 a time girl. Just went to Hershey, PA for my anniversary, a surprise from The Hubs. Loved that place! Went to Hershey a couple of years ago. The ride that is in the visitor center was cute, but the chocolate store at the end? Handcuffs please and take my credit card away before I break the limit. A piece of pecan pie please. You are right about the chocolate and cavities. That is good advice to pass on! Thank you!